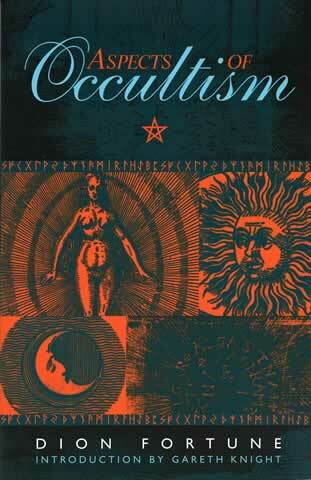 Nine different aspects of occultism are illuminated by Fortune's wisdom and insight. When Dion Fortune wrote Aspects of Occultism, "occultism" was an umbrella word used to describe hidden lore, secret traditions, and arcane knowledge. Today, when the word "occult" is often confused with "cult," and all its negative aspects, Fortune's essays would be better referred to as "esoteric studies." In this book she discusses evocative magic, the sites of Druid worship, parallels between Christianity and the Qabalah, the astral plane, auras, spiritual healing, power cycles, and our relationship with the Higher Self. Nine different aspects of occultism are illuminated by Fortune's wisdom and insight: "God and the Gods" contrasts the God of Christianity with the gods of pagan faiths, "Sacred Centres" features the sites of Druid worship and the connection of planetary and physical matter, "Christianity and Reincarnation" draws an unusual parallel between the teaching of Christ and the Qabalistic doctrine. In "The Astral Plane,"
Fortune teaches that death does not change our astral consciousness; "The Worship of Isis" reminds us that each woman is a priestess of the goddess; and "Some Helps to Meditation" provides a few simple rules for achieving a state of higher consciousness. The three bands visible when the aura is seen in its entirety are described in "Teachings Concerning the Aura," "Pitfalls of Spiritual Healing" deals with the dangers of attempting such "healing without the necessary grounding in scientific training and clinical experience," and "Power Tides and Cycles" concerns the Cosmic Doctrine "whereby we trace the Cosmos coming into manifestation cycle by cycle and the great zodiac taking form in unlimited space."